We’re happy to announce the Series-A funding round closing of our Delhi-based client, HMS Infotech, a technology startup offering cloud-based SaaS (Software as a Service) solutions for small and mid-sized hospitality industry. 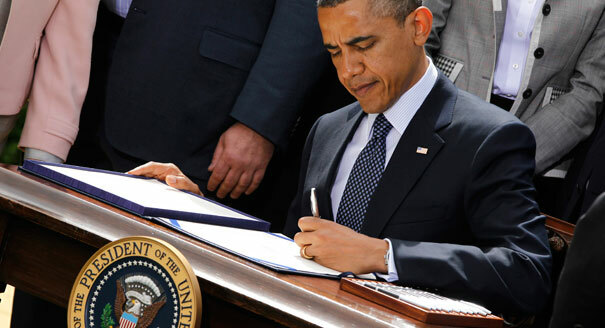 On April 5, 2012 President Obama signed the Jumpstart Our Business Startup (JOBS) Act into law. As the President said at the time of signing, “this bill is a potential gamechanger” for America’s entrepreneurs. The JOBS Act makes it easier for startups to gain access to capital, opt to remain private longer, and to go public when they are ready. 1. Crowdfunding. Right now, startups can only raise funding from a limited group of investors: banks and wealthy individuals. For the first time, the new legislation will allow startups to raise up to $1 million annually through websites managing crowdfunding shares that are registered with the SEC. Thus, crowdfunding will provide an important, new source of capital for entrepreneurs. 2. Emerging Growth Companies. For the first time, companies with gross revenues less than $1 billion (called emerging growth companies) can consider an IPO without having to comply with all the costly Sarbanes-Oxley requirements. For example, the number of audited financial statements required is reduced. They will have up to 5 years after IPO to comply with disclosure requirements or until they exceed $1 billion in revenue or $700 million in market value. 3. For private companies that wish to stay private longer, whether to increase their build revenue and/or not release valuable data to competitors, the JOBS Act increases the shareholder threshold that forces disclosure from 500 to 2,000. This raised threshold removes the impediment placed on early stage companies that traditionally have to rely on angel rounds of financing from accredited investors, and private companies who provide equity-based compensation to a large number of their employees. 4. The JOBS Act enables companies to remain private when issuing up to $50 million in transferable shares annually, instead of only $5 million previously. Download our Memo on the JOBS Act here.